Western Ohio Self Storage | Moody-Woodley Management, Inc.
Our experience is your protection! For the most convenient self storage facilities in western Ohio, visit a Superior Storage Solutions location near you today! We have all the amenities you're looking for in your storage experience and our team will happily help you select the right unit for your needs. 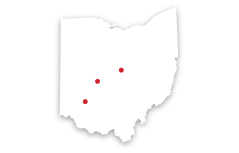 We have 3 excellent Ohio locations to serve all your needs. A convenient Ohio self storage solution near you! From selling boxes and other packing supplies in our Wi-Fi enabled office to offering tenants 24-hour access to their storage units, we make storage simple and easy. Superior Storage Solutions owns and operates affordable storage facilities in Ohio. You'll find us at convenient locations in Miamisburg, Maineville, and Marysville. For more information about what each individual property has to offer, visit our locations page. From there, you'll be able to check out all the great details at each of our properties! For camping or sailing enthusiasts, we offer a secure storage solution for your RVs or boats, with large non climate-controlled units and outside uncovered parking. Plus, if you're planning on storing long-term, we'll help you save additional money by signing an extended lease. Call and ask about any other current specials we may have to get the best deal! No matter what you're planning to store, our security fencing, electronic gate access, and 24/7 recorded camera coverage ensures all of your belongings are protected when kept at one of our properties. We also offer an array of self storage tips to help you pack your belongings correctly, which helps prevent damage to items that are stored long-term. We go above and beyond to make your storage experience go smoothly. We offer faxing, copying and Wi-Fi in our office. Our property also has 24-hour access for tenants with wide paved aisles, making it easy to maneuver around on moving day. Call the facility nearest you today, and let us know how we can help you with all of your storage needs. © 2019 Moody-Woodley Management, Inc., partners and affiliates.